Do your roots run deep? 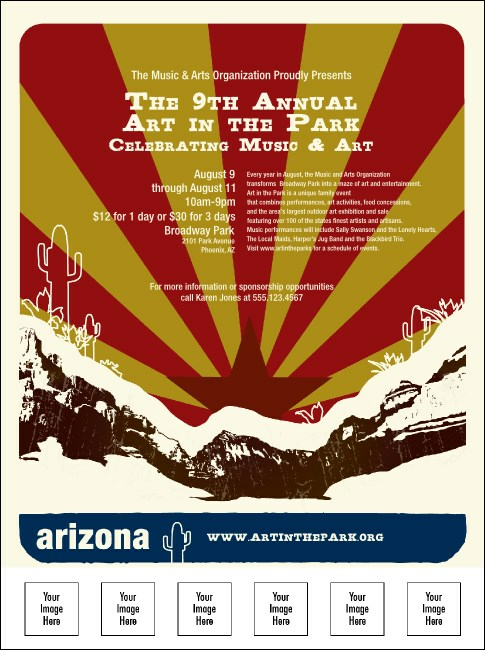 Stand tall and proud when you add six custom images, sponsor logos, or headshots of speakers, artists, and other notables to this colorful Arizona Flyer. Featuring the rising sun image of the state flag over mountain cliffs, it's a fine way to share the date in the Copper State. Follow your rising star with TicketPrinting.com.